Product code: ES6485 Categories: Sold Items, Sold Jewellery. 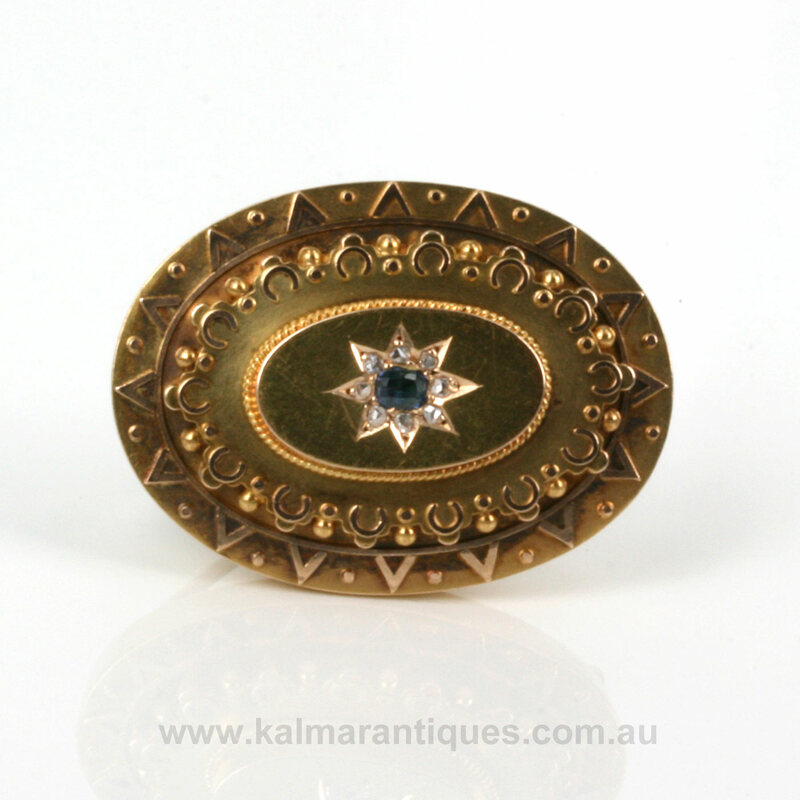 This antique brooch is very typical of the style and design of the late Victorian era and dates from around the 1890’s. The size and shape all go to make this such an elegant and very easy to wear brooch that would always look good day or night. Made in 15ct gold, the brooch measures 34.3mm across by 25.4mm and in its centre is a very lovely star design set with a Ceylonese sapphire and surrounded by diamonds. The Ceylonese sapphire sits so well in the centre and the 8 rose cut diamonds and a very subtle and elegant sparkle to the brooch. On the reverse of the brooch is a photo locket compartment that would make this brooch even more personal and special once a photo has been placed inside. Antique brooches from the Victorian period are so lovely to admire and wear and this one is just perfect.